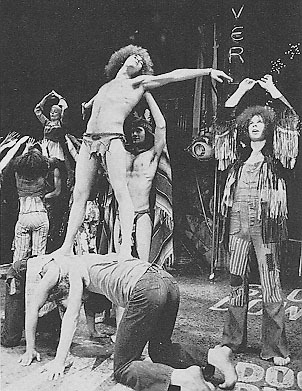 "This is the body and the blood of Jesus Christ...." Broadway circa 1972. Greg Karliss as Berger on Bryan Spencer's and ? 's back. Peppy Castro as Woof. Shelley Plimpton on top of the group to the left.